This is a Panorama I took of the Philly skyline just afer sunset. 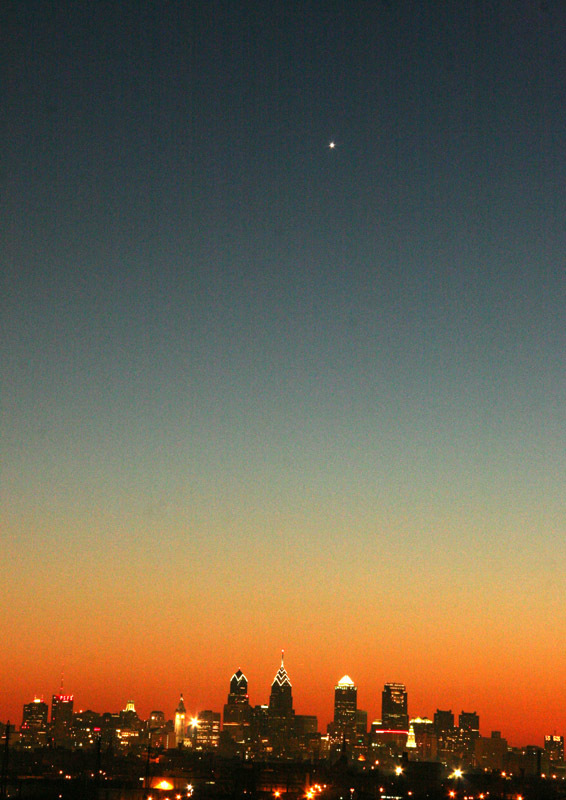 And this is a wideangle shot I took of a planet in the Philly skyline..
Nice panorama. Your horizon is slightly off-kilter on the planet photo, otherwise its a nice shot. The planet is probably Venus. I read that Venus has not been this close to earth for hundreds of years and it will be another couple of hundred years before it's this close again. It sure looks brilliant every night.